A Better Alternative to Delivered Bottled Water! Custom Pure’s office filter systems can provide you with delicious tasting water for your employees and customers but without the high cost and storage problems related to delivered bottled water. Just think ... No one needs to lift the heavy bottle onto the cooler. You don’t have to dedicate valuable space for bottle storage. You never run out of water. You reduce employee and customer exposure to BPA by not using polycarbonate bottles. And less fuel is burned because you have eliminated that twice a month delivery. Filter and cooler systems for the office make so much sense. We connect a Custom Pure water filter to your water supply; then we connect the filtered water to our designated faucet or bottle-less water cooler. We can also supply filtered water to other appliances, including your coffee maker, icemaker, pop machine and instant hot tap. 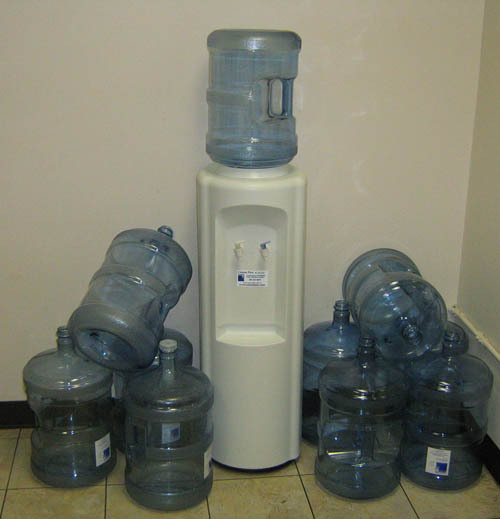 You get an endless supply of delicious tasting water without ever seeing a five gallon bottle! We lock in the rental price for one year. You have only a 30-day commitment. No extra charge to service rental equipment. Rental payments can be applied toward up to half the purchase price. The price for both rented and purchased equipment will vary depending on the equipment installed. And because the service cost is incorporated into the rental price, we have to consider how often the filter will need servicing. The needed frequency for servicing is dependent on the size of the filter and how much it will get used. Size of the filter is dictated by available space and the quality of the source water. This is why we do a FREE site survey first before we give you a firm quote. The site survey allows us to assess the source water quality, the installation site’s dimensions, and the other appliances that may also use the filtered water. Once this is done, a firm price will be promptly provided. But for a “ballpark” idea for rental pricing, our smallest filter without a cooler starts at $20 per month. Our average monthly rental price per unit is about $50 per month. 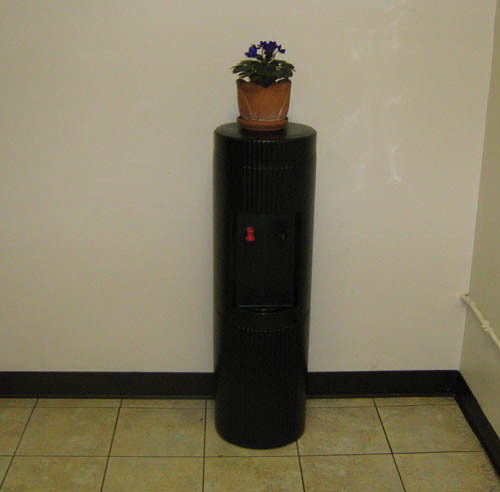 Custom Pure’s Office Filter System is available for rent in the Greater Seattle Area only. If you are interested in arranging a FREE site survey, please fill out the Work Place Water Consultation form. When we have reviewed your information, we will contact you to schedule an appointment for a site survey. Or just give us a call and we’ll be happy to answer any of your questions.